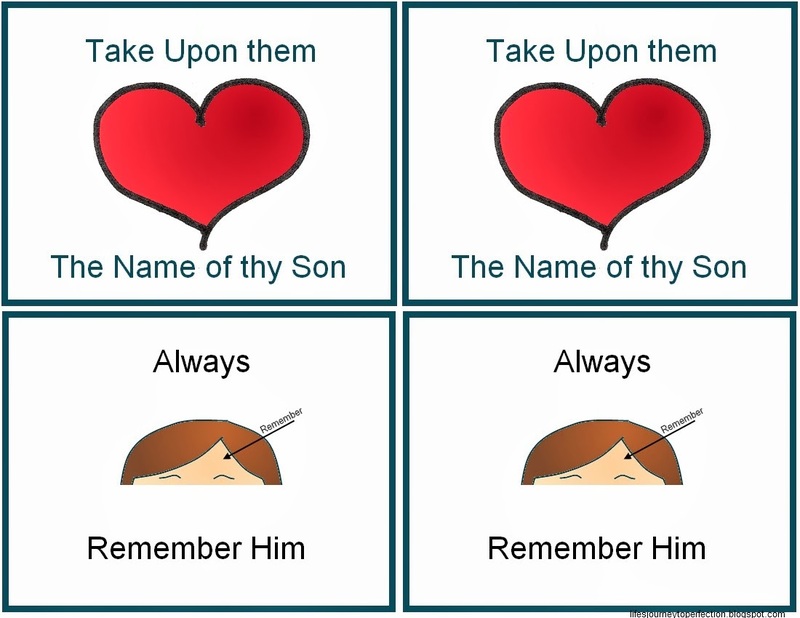 - "Take Upon Them The Name of Thy Son", we would discuss that we take Jesus' name upon us. That we are members of his church and that we will act as he would have us act, we will follow his example. This is a promise we make to Heavenly Father. 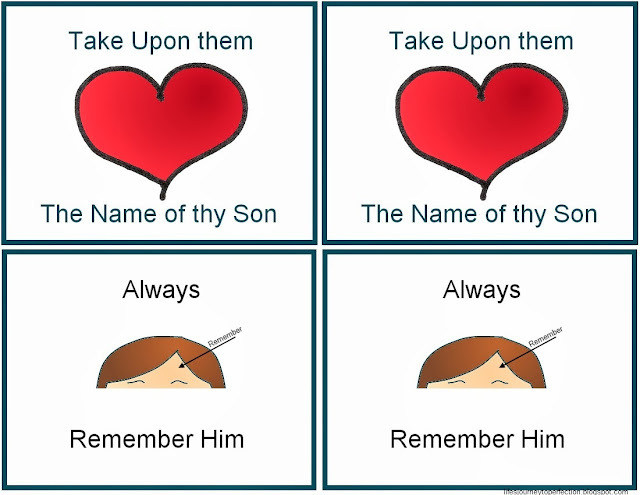 - "Always Remember Him", we will remember all of the things he has done for us. That he suffered for all of our sins and hurts. And that he died for us and was resurrected that we all might live again. We don't just think about this on Sundays, but always. This is a promise we make to Heavenly Father. - "Keep His Commandments", we will keep all of Heavenly Father's commandments and be obedient. This is a promise we make to Heavenly Father. 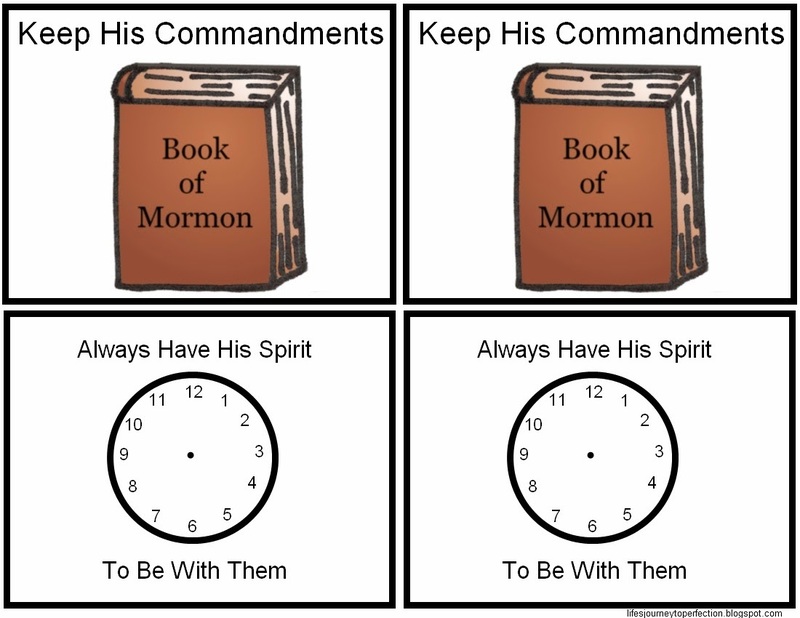 - "Always Have His Spirit To Be With Them", means that if we keep all of our promises then Heavenly Father will let the spirit be with us always to help lead us and guide us. That is why there is a clock on this paper with no hand, because it is not just a certain time of the day, but always. This is the promise he makes to us.